Jenn used her Global Positioning System (GPS device) on Monday, May 20, as she drove us to Lookout Mountain west of Denver. Pat and Doug stood on either side of the marker, and visited the museum. The third daughter of Benjamin Ross (D6) and Isabelle Smith was Bessie Belle Ross. On June 8th, 1921, she married Allen J. Cody. 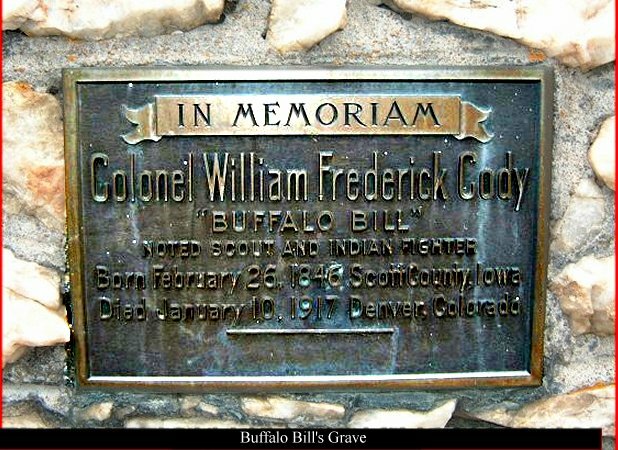 Allen and William F. Cody (alias Buffalo Bill) were cousins. 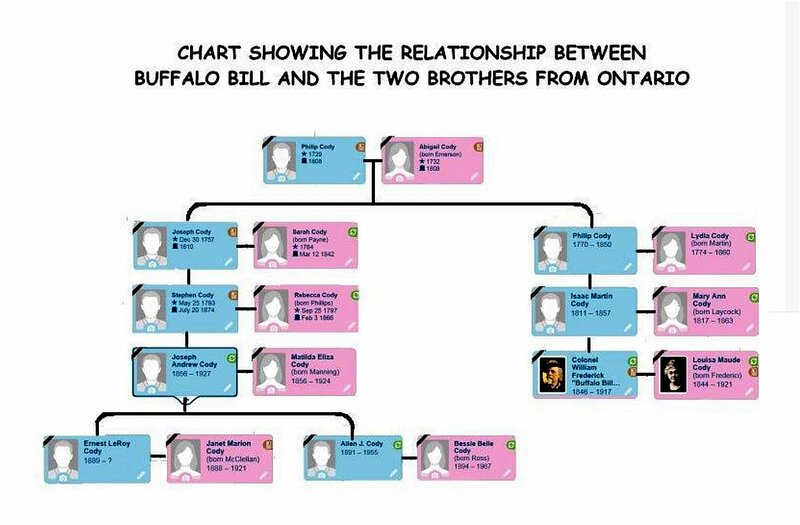 After Buffalo Bill Cody conceived of his Wild West Show in 1883, he visited Allen's father in the Mount Albert area of Ontario whenever he came to Canada. Many tales were told of Kit Carson, Ned Buntline, Annie Oakley ("Little Sure Shot"), Chief Sitting Bull and Louis Riel's general Gabriel Dumont. The latter three were evidently members of the show. 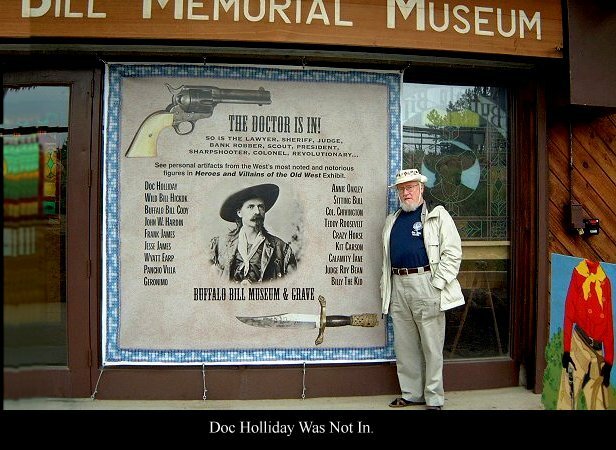 The buffalo culture of the western plains was dead, and Buffalo Bill died penniless on June 3, 1917, at his sister's home in Denver, Colorado. Allen and his brother Leroy Cody attended Buffalo Bill Cody's funeral. 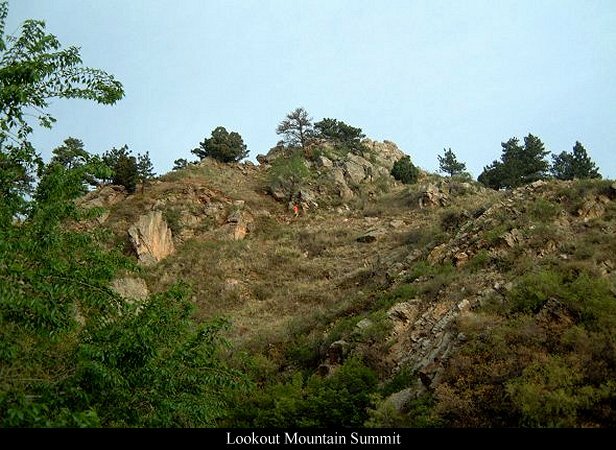 He was buried on a hill on Lookout Mountain.